One of the most important skills for students to develop is the ability to make connections between factors to reach a sustained, sophisticated judgement. 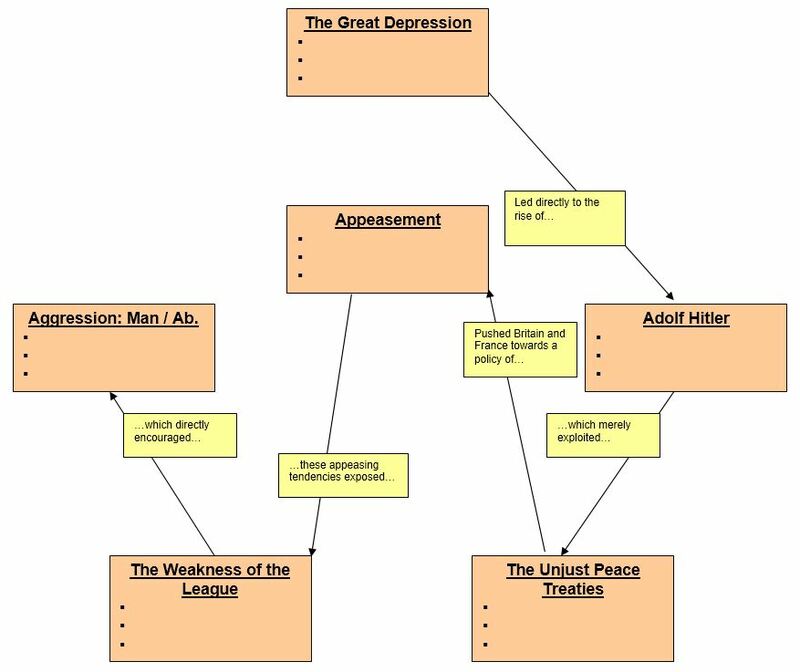 A fundamental cause of World War Two was the Great Depression. 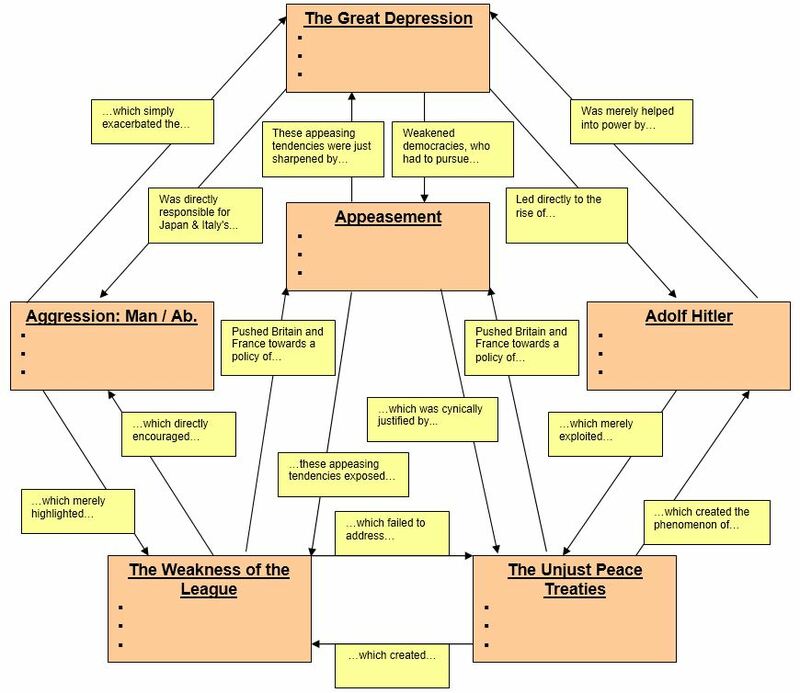 The Great Depression led directly to the rise of Hitler. 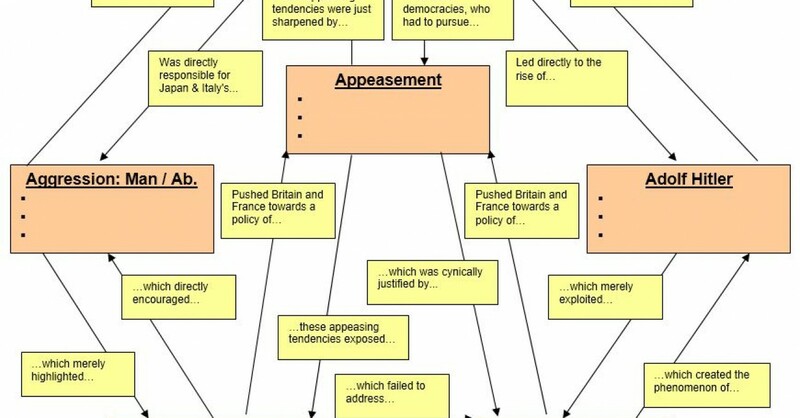 Upon coming to power, Hitler destabilised the international situation by exploiting the unjust peace treaties that followed World War One. With the topic sentences written, the next stage is to add three points of substantiating evidence in each of the orange boxes. These are then used to develop each topic sentence into a full paragraph with appropriate detail. Students should identify the six initial factors themselves. This could be achieved by giving students a hexagons exercise with the objective of arranging them in six logical groupings. The possible groupings could be listed on the board after different students have come up with different ideas, and these could be subjected to a factor auction to encourage students to choose slightly more unusual factors than would otherwise be the case.